IN TRANSIT CAMERA CLOSE UP ($25)– this is described as a moisturizer, primer and mask in one. We’ve been having a hellish heat wave so far this month and skin has been acting crazy as result. Since I already have a gross heat rash, I didn’t want to take any chances on new skincare but I looked it and apparently it’s a favorite of Victoria Beckham. She’s probably 10-15 years older than me and looks a zillion times better than I have. Plus I mean… her husband… so yeah if she likes it I’m all in. TARTE TARTEIST LASH PAINT ($10)– I’ve used this mascara before and I love it so this is a winner for me. NOMAD MAKEUP SPICE MARKET EYESHADOW ($10)– I’ve never heard of this brand before. The eyeshadow is really pretty red copper that reminds me of MAC COPPERING. It’s beautiful but I’ve got at least 10 similar colors in my collection so I’d probably use this once and then lose it. I’ll probably end up passing it off to someone who will give it a good home. CIATE LONDON NAIL POLISH IN DANGEROUS AFFAIR ($15)- I normally don’t like getting nail polish in sub boxes but this deep red color is my fall and winter staple so I’m happy with it. This month’s total value is $82! Not bad for a $10 investment. And I’ll use everything and the bag is cute so all and all a pretty great month for me. 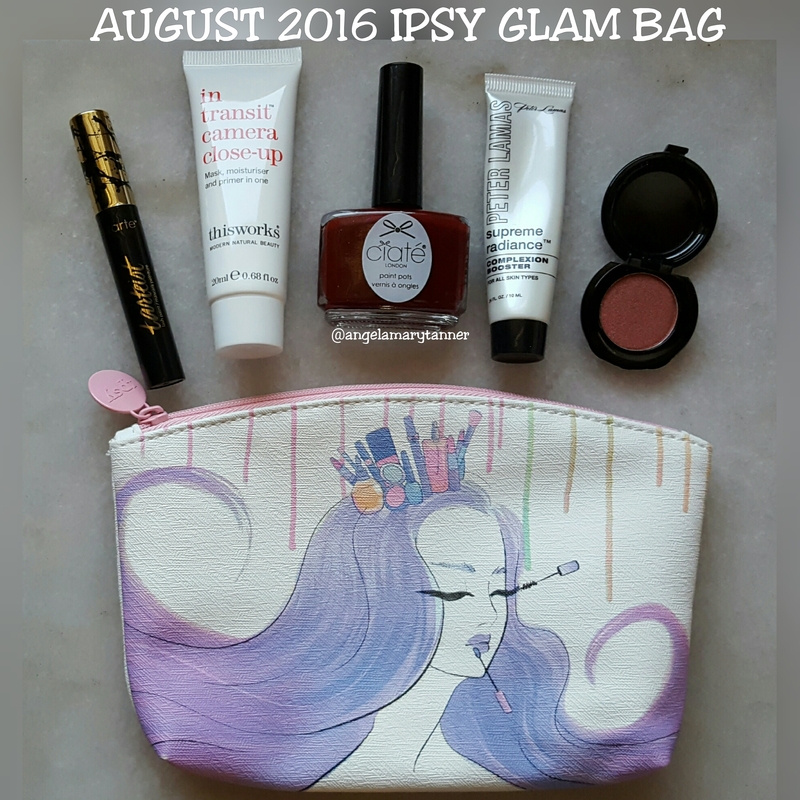 Want to sign up for IPSY? Click here to get off the waiting list! I got the red polish too and love it! Your blog is so great and I can tell we share a love for Ipsy 🙂 Including my newest post which is about my year with Ipsy, check it you if you get a chance! Also followed you and hope you will follow back?